We had the opportunity over Auckland Anniversary weekend to set up a stall and do portraits in The Cloud down on Auckland’s Viaduct. 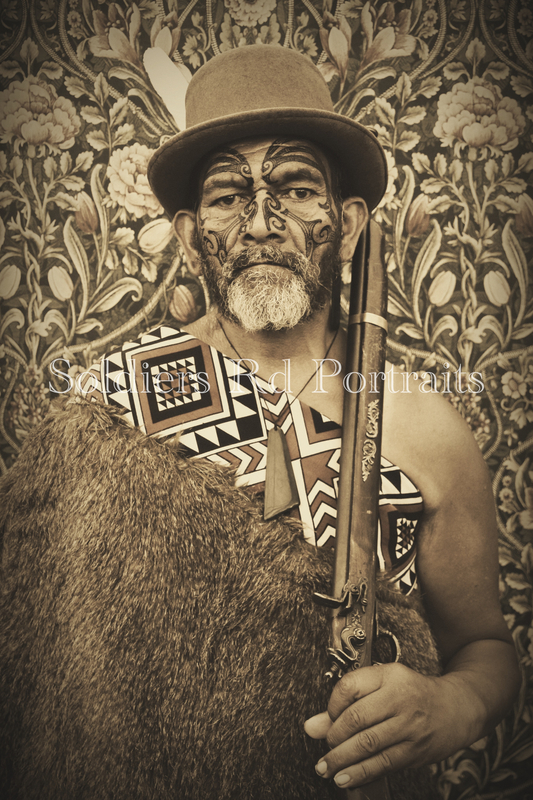 Among the wonderful people we met over the two days we were doing portraits, was this gentleman who wandered up to our stall and spoke beautiful fluent Maori to us. 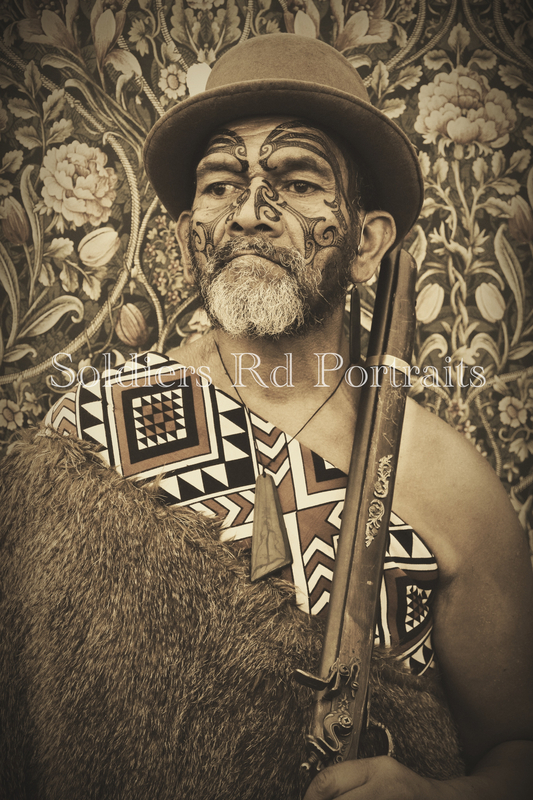 He told us he would like to have a portrait with traditional regalia and moko. Of course we were happy to oblige, and felt overwhelming wairua as we dressed him and he told us how he came from Northland to Auckland as a young man into the Avondale Mental Asylum or Oakley Hospital as it was called then (which is now Unitec in Auckland). “Man 3, ward 15” he recalled. He hung around for a bit after we took his portrait to korero, make connections, and tell us where he lived. “I live on City Rd, or you can find me at the Auckland City Mission on Tuesdays” he said when we asked how we could get his portrait to him. Since editing his amazing portraits and posting up on our FB page we have had several people come forward who are willing to help him receive his portrait. We are so grateful for the aroha we feel from all of you who tautoko our mahi, and for the aroha you have for one another as human beings. He aha te mea nui o te ao? He tangata! He tangata! He tangata! What is the most important thing in the world? It is people! It is people! It is people! Next Post Soldiers Rd’s debut in the New Zealand Herald!